FOR the past two months, Melissa Ware’s 150-year-old stone foundation house in the shadow of the Cape Bridgewater wind farm in South Australia has been wired to monitor sounds that cannot be heard easily by the human ear. Ware, who is partially deaf, and two nearby families have kept a diary of the physical sensations they were experiencing at regular intervals. A scorecard was developed ranking three factors — noise, vibration and sensation — on a scale of one to five. 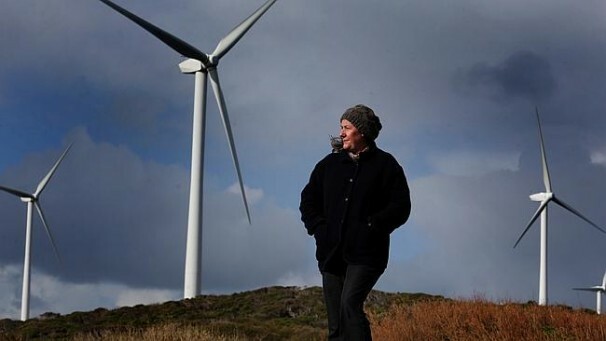 For six years, since the wind turbines started operating at Cape Bridgewater, Ware has complained of headaches and other “pressure” effects she can attribute only to the arrival of the renewable energy project she once had supported enthusiastically. Pacific Hydro has published the minutes of the report-back meetings and Cooper’s preliminary findings but has drawn no public conclusions. Company spokesman Andrew Richards says Cooper’s work has “resulted in some interesting data” but “doesn’t necessarily provide any conclusions or outcomes”. But Richards acknowledges there a problem. “Whatever they are experiencing is real for them,’’ he says. Concerned residents in Australia want the federal government to use Cooper’s research methodology at Cape Bridgewater as the basis for an independent study that has been promised by Industry Minister Ian Macfarlane.